With the client being a legal practice a high acoustic expectation was paramount. 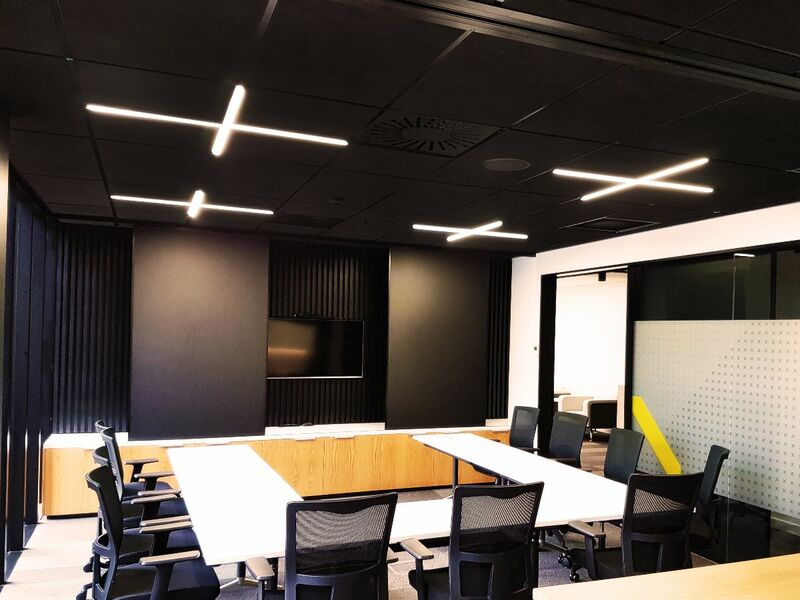 White C Max high acoustic tiles on a white grid were therefore chosen throughout the general offices with Black C Max in the Board room to complement the timber paneling and quality timber furnishings. To further enhance this high spec installation, Darryl Church Architects chose Gridlux LED Tee Bar lighting in black and white as required and designed it into the ceiling in a unique cross pattern where practical. The use of the Tee Bar fittings further ensured the acoustic and seismic performance of the suspended ceilings.